Amazon’s Echo smart speaker, which people usually call by its voice’s name, Alexa, helps you accomplish more things with less effort. Stuff you did previously by searching the internet, making a phone call, or walking around your house. Now with Alexa, you do them by using your voice. While younger consumers made up the first wave of adopters for this technology, it’s ideal for an older adult who wants to remain in her home as she grows older. In short, Alexa can help you age in place. You don’t have to learn a complicated operating system or even turn the device on. You get Alexa’s attention by calling “her” name, just as you would a relative or friend. For example you could say, “Alexa, turn on the kitchen light.” This post will cover principal uses for the smart speaker today and suggest how it can help you stay independent as you grow older. Maybe even inject some fun into your everyday routine. Alexa is the voice of Amazon’s Echo smart speaker. Amazon introduced the first generation Echo in 2015. It’s a speaker connected via wifi to Amazon’s artificial intelligence-equipped, Voice First technology called Alexa Voice Service. Amazon now offers a variety of these smart speakers, ranging from the Echo Dot at $39.99 – $49.99, to the Echo at $99.99 and the Echo Plus at $149.99. The speakers vary mainly by size and shape. Amazon recommends, of course, that you buy a larger one for your home’s main room, smaller ones for the bedrooms, and so on. They’ve even introduced the Echo Sub, a subwoofer to crank up the bass when Alexa plays your favorite tunes. The Echo Plus includes the Smart Home Hub, which connects to compatible smart home switches, sensors, door locks, thermostats, and so on. Thus you can use it to turn on lights, make sure doors are locked, etc. It’s no problem to set Alexa up for someone else, however. You can use the app on your phone, and your mom won’t have to do anything other than talk to the wifi-connected speaker. Amazon’s Alexa works similarly to Apple’s Siri and Google Home. They all use Voice First technology. Experts are predicting that Voice First is the next big thing in technology advances that will benefit older adults. Why? By installing smart home devices like the Ring doorbell, Nest thermostat or Phillips smart bulbs, you can use Alexa to operate these devices. Amazon offers extensive information on what devices work with Alexa and how Alexa and home automation can work together. The Echo system can make calls to other Echo devices, whether they are in a different room of your home, or in someone’s else’s house. You can also use the Alexa Calling service to phone most landline and cellular numbers in the US, Canada or Mexico for free. Additionally, you can send short messages to other users of Echo devices. Although Alexa can’t yet call 911 for you, it allows you to designate friends and family (via Ask My Buddy) you want notified in the case of an emergency. So if you were to fall in your kitchen, you could say, “Alexa, Ask My Buddy to alert my family.” This service is completely free. It’s not a substitute for 911, but it’s nonetheless helpful– especially for a person who lives alone. Learn more about it here. Graduate student teams compete for the Amazon Prize. Their goal is to develop a social bot that will converse with a human for 20 minutes – in a coherent, engaging way. In 2017, the Amazon Prize competition generated 162,000 hours of conversation and involved 3 million users. This year’s teams are hoping to increase that number substantially. In all, the Amazon Prize competition will award $3.5 million this year. It aims to attract the smartest minds in artificial intelligence (AI) to program on its platform. And thus to attack what arguably is one of the most difficult AI tasks: conversing with a human being. As useful as Alexa might be, it’s not a perfect solution to the challenges of living alone as a person grows older. You can set up your loved one’s Echo system easily: just connect it to electricity and wifi. But it will take a bit more work and a computer or smart phone to add functionality. Also, if your relative has a cognitive impairment, learning to interact with Alexa may prove difficult. Weigh the pros and cons for your own situation. Will Alexa benefit your loved one, or will it perhaps result in frustration? Can your parent even remember what that gizmo is doing on kitchen counter? Without a doubt, voice-activated technology has strong appeal for people who can’t or prefer not to type out their questions and commands. But for people with hearing impairment, it may be difficult to understand Alexa’s voice. Likewise, a person with speech difficulties would have trouble making herself understood by the device. The Echo speaker is always on. You “wake it up” by saying “Alexa.” But it’s always there in the background. It’s easy to become suspicious that Amazon or some hacker may be using the speaker to listen in on your private conversations. The New York Times and others have reported instances where Alexa “woke up,” misunderstood chatting between two people as commands, and emailed a recording of the conversation to another person on the device’s contacts list. Creepy. Some of us have given up on the notion that anything is private anymore. Still, it feels weird to have a device constantly at the ready. Ready to play music, order things from Amazon, tell dumb jokes, record your spoken words. For example, Amazon is currently rolling out “whisper mode.” When you whisper to your Echo device, Alexa will respond in a whisper. People predict this feature will be useful around sleeping children. But it also makes the device seem more human: it whispers when you whisper. Potential pitfalls of a system like Alexa were spoofed in a hilarious Saturday Night Live sketch last year. Check it out for fun! But beware its stereotypical characterization of older people. It displays ageism that’s a definite no-no these days. Even with possible privacy and other issues posed by the Echo and other smart speakers, Voice First technology holds great promise. You can summon a virtual assistant like Amazon’s Alexa or Apple’s Siri with a type of communication (your voice) that comes naturally for most of us. Smart speakers like Alexa and Google Home are relatively inexpensive. As developers create more voice-activated apps, the usefulness of Voice First technology continues to grow. Buy a device like the Echo and start experimenting with it. You may be impressed with how Alexa can help you now as well as in the future. A key benefit of the Voice First tech is that you don’t have to learn a new user interface or even type on a computer or phone keyboard. You just talk to it. In that fact lie simplicity and power, but also complexity and challenge. The Amazon Echo illustrates all these elements. 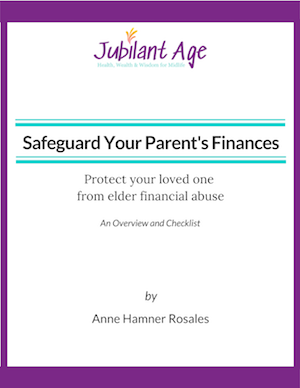 Check it out for yourself and see if you think it will be a useful tool to help you or a loved one age in place.